Anyone that’s worked in marketing for more than about a week will be familiar with the notion of a configurator. They come with many names and in many guises, but the configurator tool is a must-have for any business selling a product or service with multiple extra options. The configurator’s job is to ask a series of questions to help a user narrow the potential choices down and predetermine their requirements before talking to a sales person or checking out. 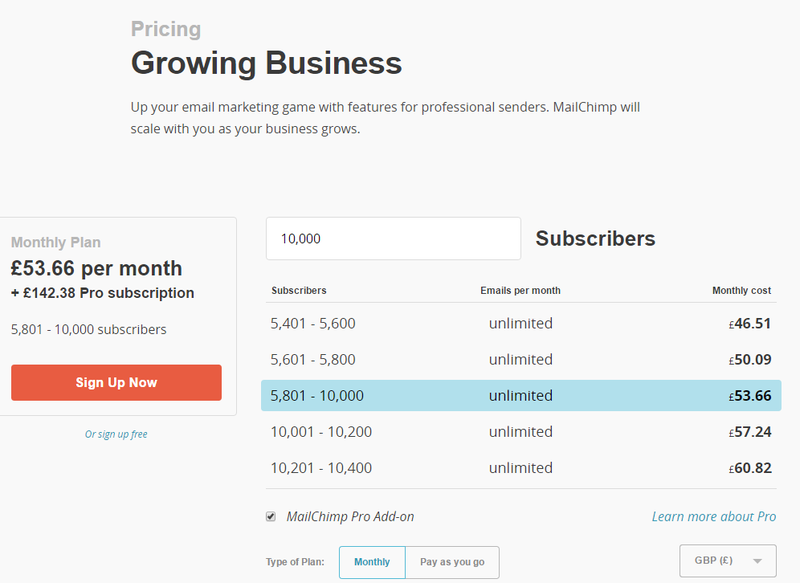 Here’s the configurator in its simplest form: enter the number of email subscribers you’ve got and MailChimp will allow you to configure the package that’s right for you. Both configurators are good examples of how to help users narrow down choices on a single product that come with extra options. 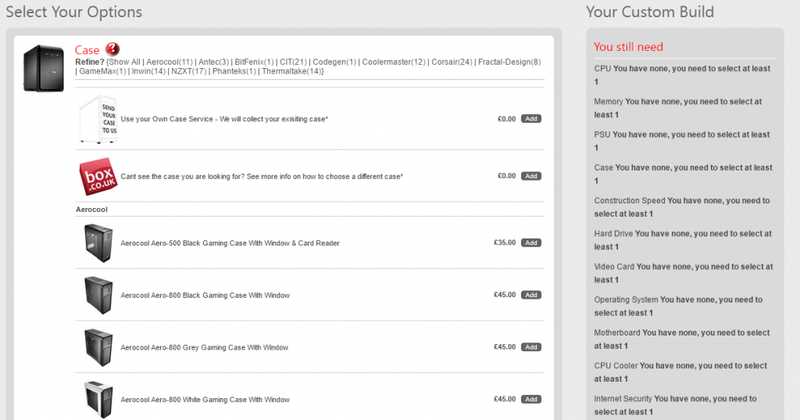 You can see from the examples above that configurators are great when there is one product with multiple options. In my experience, configurators typically proved to be too clunky when they started trying to help refine choices for multiple products. Are you trying to reach new customers or existing ones? What are you trying to make them do? Buy a new product or buy more of an old one? How are you currently talking to your intended audience? Do you currently send email? As you can see, when you widen the number of questions, the number of potential answers becomes too large for a configurator to make sense of. 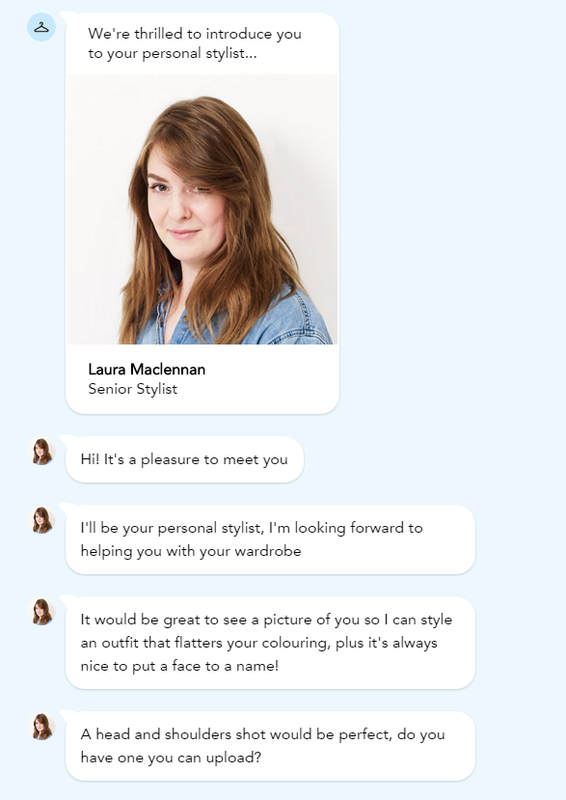 Typically, in these scenarios, it’s where a human comes in – live chat is the most common digital solution for this type of customer experience challenge. Marks and Spencer have just implemented a very clever solution to ‘configuring’ a much wider set of choices. It’s called Tuesday, and it’s the product of M&S’s innovation hub, Venture Labs. Tuesday is being called a ‘digital stylist’, but it’s a configurator. 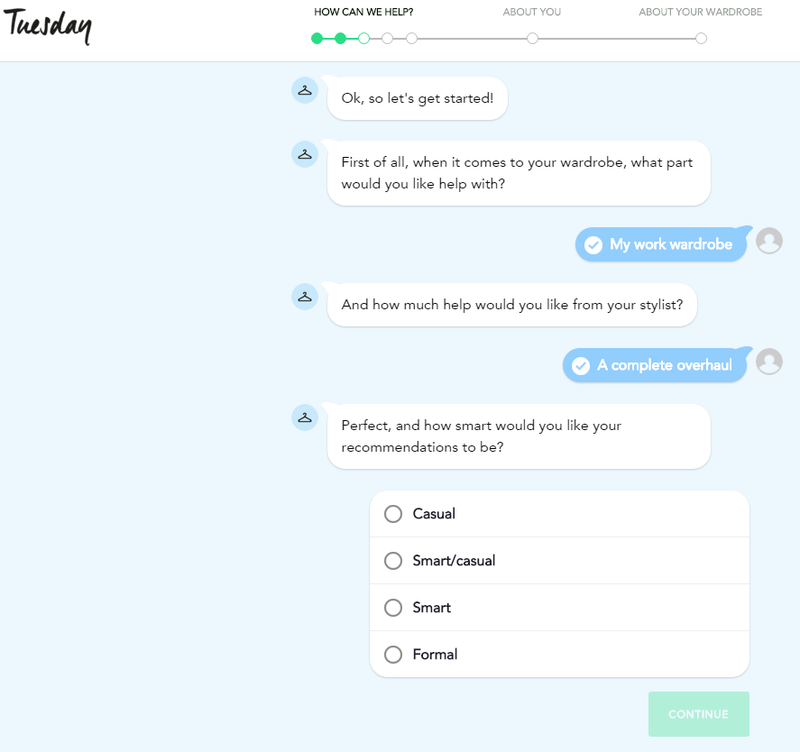 It asks you a set of scripted, branched/routed questions to refine your choices and present you with the most appealing options. And what’s exciting about Tuesday is that it’s tackling the very broad topic of “what shall I wear?”. Once you’ve been through the process, you’re introduced to a human who is then sent your configuration and is much better placed to help you complete a purchase. The digital assistant will be a very useful tool for any industry that has a wide-narrow-wide decision-making process. Let’s take holiday deals as an example. The process starts wide (“what type of holiday do I want”), then narrows (“do I want hot or cold”), then widens (“what country”), then narrows (“what resort”), then widens again (“what hotel, upgrades, flights do I go for”). At the moment, this is often a lengthy process that the checkout process doesn’t get to influence. In the holiday deals example, the user only engages with the website once they’ve made all their decisions – by that point they’re just looking for the best deal. This is typically because the customer experience on a holiday deals website only addresses those users looking for deals, but the reason for this is one of scale. The likes of lastminute.com or travelsupermarket.com simply can’t afford to hire an army of travel consultants to help every one of their customers with a personal recommendation about where to go on holiday. The potential for adding a digital assistant to help with making some of those earlier decisions is therefore huge. Asking questions, like “where did you go last year?”, “what do you do for work?”, “who are you travelling with?” and “what sort of food do you like?” can help the holiday deals business start to offer a more personalised travel agent experience at scale. Of course, this is easier said than done. Not only do you need to tag and markup your inventory to make it “understandable” for a machine (e.g. product A and product B are connected by user preference X), you need to create a platform to ask the data questions and present relevant answers. The article announcing Tuesday’s success doesn’t mention how long it took M&S’s Venture Labs to create or the amount of budget and time invested, but you can assume it’s out of the reach of most brands right now. Are there alternatives right now? An FAQs page. Sounds simple, but a text-based, searchable FAQs section or knowledge base is a solid place to start. I believe if you don’t have the best, most comprehensive, ‘self-help’ offering in your competitive set, that’s your place to start. Start with the questions your customer services and sales teams get asked and document the answers. Video content. The old saying goes “a picture paints a thousand words”. Well, a video lets you have pictures and words. YouTube and Periscope and Vines and Hangouts all present low-cost options for creating engaging video content with a modest budget. If you want to help your customers narrow their options or make better choices, video content is a great way to do that. Are you doing something interesting to help improve your customers’ digital experience? We’d love to hear about it, tell us about it @rocketmill.